Content may be king, but URLs are the infrastructure of the kingdom. Great content is necessary for achieving high search engine rankings for competitive queries, but often the ranking difference among competing “great content” is simply the volume and quality of positive signals about the URLs at which the content can be found. This post will explain the importance of using what I call “durable URLs” for long-term SEO success. Simply: Durable URLs let you accumulate links and other signals over time while releasing fresh content and maintaining your position at the top of search results for high volume short-ish tail keywords. What is a ‘Durable URL’? A durable URL is one that is stable and could be updated with fresh content in the future while continuing to rank for many original keyword targets and maintaining ranking signals over time. A durable URL doesn’t need to have already been updated to be thought of as durable – and plenty of URLs are updated frequently that wouldn’t be described as durable. It’s simply a way of thinking about URLs, especially while they’re being created, which allows for future success through the accumulation of signals like inbound links. Take for instance the Google query [IT Conferences]. This type of query deserves freshness for search users because most humans using this query are searching for the latest conferences, either to attend themselves, or to mimic with their own conference, or to write about. 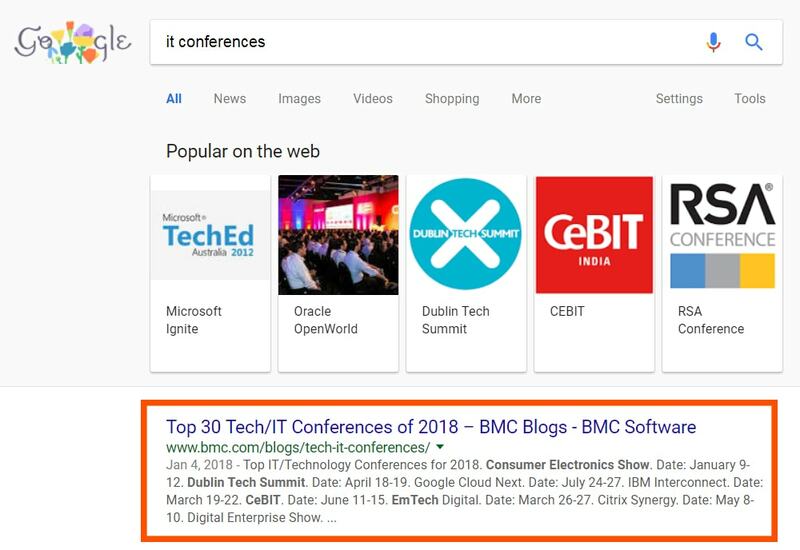 Example of “IT Conferences” durable URL in #1 organic search position, Google US, 3/20/2018. The content matching this query can be updated not just annually but throughout the year with links to notes from conferences as they’re happening (or after), links to live streams as they’re announced, and even more conferences can be added throughout the year. The content becomes a living document rather than a static proclamation. Information about the post itself. 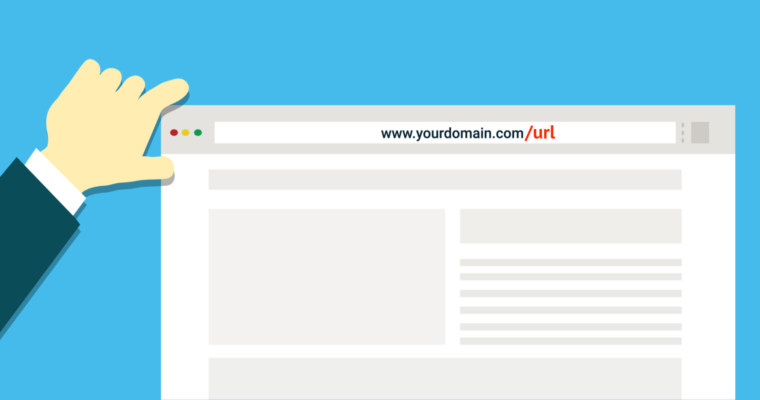 Durable URLs should simply, cleanly match the core of the target search terms. It should go without saying that URLs need to be free of clutter, simple, short, and human readable – but I’ve said it anyway. For these URLs, you could update the content every year or every month without ever changing the URL. For these URLs, the URL itself must be retired and redirected to a new location to accumulate ranking signals on the core topic – or else, old versions are maintained and no accumulation occurs. Either way, in order to have a new version in 2019 or to add or remove a conference from the list, a new URL should be created to match the content. When new URLs are created for each year or every time content is added or removed from the page, the new version of the webpage must basically start from scratch with no likes, no shares, no tweets, no bookmarks, and – most importantly – no pre-existing links. Some content and some keywords demand a durable URL – and conversely many cases demand a disposable URL. Critical content like product pages, category pages, and others targeting important short-tail keywords. Time-sensitive content such as annual analyst reports, annual conference listings, trends, or state of industry reports. Topics for which the website’s point of view could potentially change, but the core topic remain the same. 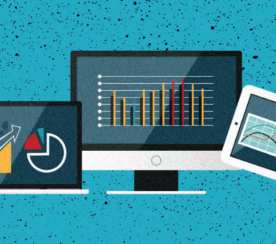 Content that could conceivably be updated on a regular basis as new information is available. Most “evergreen” type of content, often focused on shorter target keywords. Content targeting high search volume (or expected future search volume) target keywords. Content about events or states of affairs as they exist at a moment in time, intended to be used as a reference far into the future. Very specific points of view. Content for which the author does not intend to update it in the future. 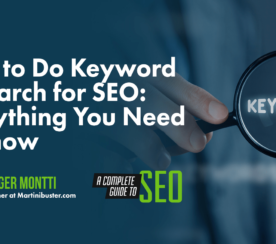 Low or no current or expected search volume for target keywords. Typically, longer tail keyword targets. While it is true that redirects are thought to pass many of the ranking signals from location A to location B (“link equity”), there is little doubt that keeping URLs in their original place conserves more of the accumulated ranking signals than redirected URLs. Not to mention, social shares don’t accumulate on redirected URLs and maintaining massive redirect lists for years becomes burdensome quickly. Redirects are good to use for many things but they are no replacement for a strong initial URL that can stand the tests of time, subtle and major context changes, author changes, additional content, and more. Evergreen content is good, but evergreen URLs are better. Content changes, but the underlying URL and basic topic often do not. There is a critical distinction between “content” and URLs themselves – and taking advantage of this understanding can allow your website to launch fresh content with pre-existing ranking, social signals, and even traffic. You can always change the title, meta description, images and body text after publishing a new piece of content – but you can only pick your original URL once, so take special care while making that decision.